Banjo's Bakery Cafe Hobart, Hobart, TAS. Information, Photos and Reviews. ‘At Banjo’s you can taste the difference’ you will hear people say. A Tasmanian ‘staple’ since 1984 and now with almost 40 bakeries across Australia, Banjo’s is home to the freshest and best tasting breads. But, it’s not just bread – the range of delicious products extends to sweet, savoury, salads and the highest quality coffee created by qualified baristas. Join us and make Banjo’s part of your every day! 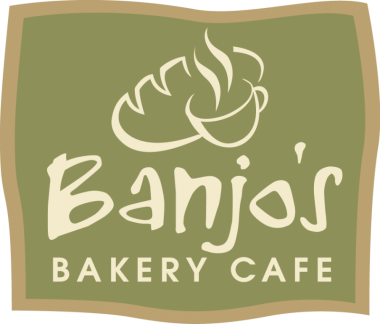 Banjo’s is a successful Bakery Café franchise with nearly 40 stores across Australia and still growing. Our delicious products are made by food lovers who care about, using the best ingredients and creating the best tasting food and coffee. Our simple philosophy results in a large number of loyal customers, many who make a visit to Banjo’s part of their daily routine. Our success is not just for our benefit. We have a strong community focus and are committed to giving back what we can in sponsorship’s and product donations to local community organisations. Banjo’s collectively gives away over two million dollars of product every year. Nobody has reviewed Banjo's Bakery Cafe Hobart yet, Be the first. You are submitting a booking enquiry. 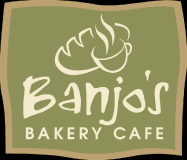 Banjo's Bakery Cafe Hobart will then contact you by email with details of availability and prices.